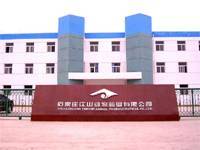 Product categories of Veterinary Feed Additives, we are specialized manufacturers from China, Veterinary Feed Additives, Chicken Diarrhea Treatment suppliers/factory, wholesale high-quality products of Treatment of Animal Diarrhea R & D and manufacturing, we have the perfect after-sales service and technical support. Look forward to your cooperation! It has obvious effect on strengthening the nutritional value of basic feed, ensuring animal health, saving feed cost and improving animal product quality. 1. Prevention of poultry, pigs and other animals nonbacterial diarrhea, physiological diarrhea, seasonal diarrhea, diarrhea early birth, flora as a result of diarrhea. 2. Promote the digestion of poultry, pigs and other animals, improve feed utilization, stomach digestion, prevention of glandular gastritis, increase appetite, reduce the incidence of gastrointestinal diseases. 3. Promote the growth of poultry, pigs and other animals, improve production performance, On the weight gain of broiler have a significant role in promoting, Promote egg laying rate increase, improve egg shell quality, reduce egg breaking rate. 4. Improve immunity, reduce the occurrence of immunosuppressive diseases, and promote animal health. 5. Reduce the occurrence of harmful gases in animal homes, reduce the incidence of animal respiratory disease. 6. Inhibit the growth of feed mold, decomposition of mycotoxins, adsorption of mycotoxins, reduce the risk of mold.